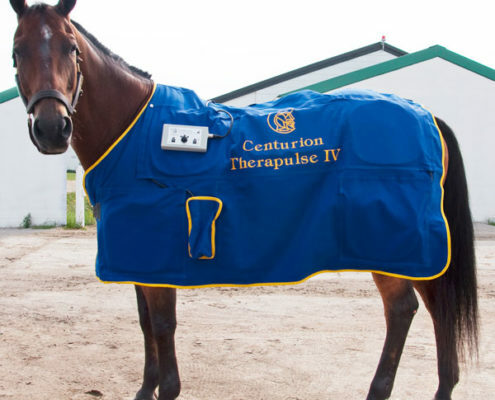 What makes the Centurion Therapulse Blanket unique is its ability to treat the entire body of the horse in one session. 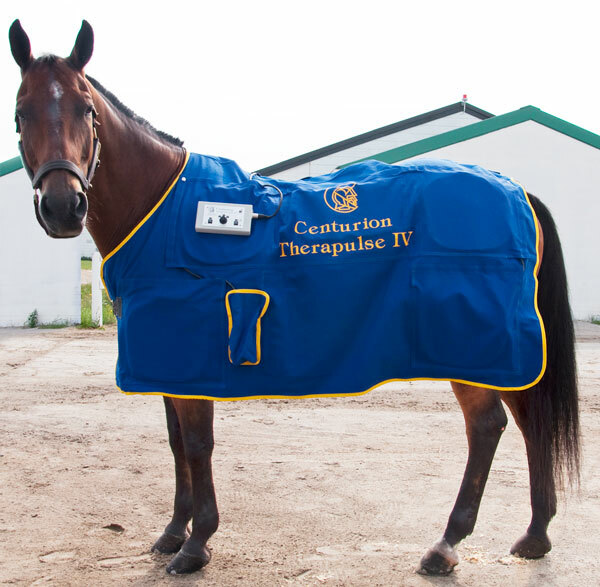 The blanket contains 10 coils placed strategically along its length in order to treat the horse as efficiently as possible. These coils are removable allowing for easy laundering. The durability factor comes from the heavy cotton twill used to manufacture the blanket. The Therapulse Blanket comes with two batteries (providing 5 to 6 hours of operating time), a Centurion controller and a durable Pelican case for easy storage and portability.  The Therapulse is on a 30 minute timer, freeing the operator from constant monitoring.